I had given Burger Lounge a couple of chances after a less than happy experience there a few years ago. The location on San Vicente in Brentwood was really good, and recently, Happy Meal, The Pretty Lady Veterinarian, and I sampled the Santa Monica location. I noticed the tagline, "The Original grass-fed Burger." It is not my job to debunk patently ridiculous claims, so I let the boast slide. "This is the burger you want. We support cows eating grass, corn is for the birds. It’s healthier for them, healthier for us, oh, and it taste better too. We source our beef from only two farms, Sunfed Ranch in the foothills of the Sacramento Valley and Rain Crow Ranch located in the southern hills of the Ozarks in Missouri. Both of our family owned grass-fed beef partners share the same philosophy of sustainability that benefits not only the product, but also the animal. Grass-fed beef is higher in Omega-3 fatty acids, higher in CLA (conjugated linoleum acid), higher in Vitamin E, higher in beta-carotene, lower in calories and is one of the healthiest protein sources on the planet..."
Parking...Santa Monica had plenty of street and public lot parking. We ordered a couple of :The Classic" ($7.95) cheeseburgers at the counter and settled in for a 10-minute wait for our burgers and fries to arrive. The Beef: This Burger Lounge experience was far superior, in every way, to my initial experience. The beef was good--actually darn good. 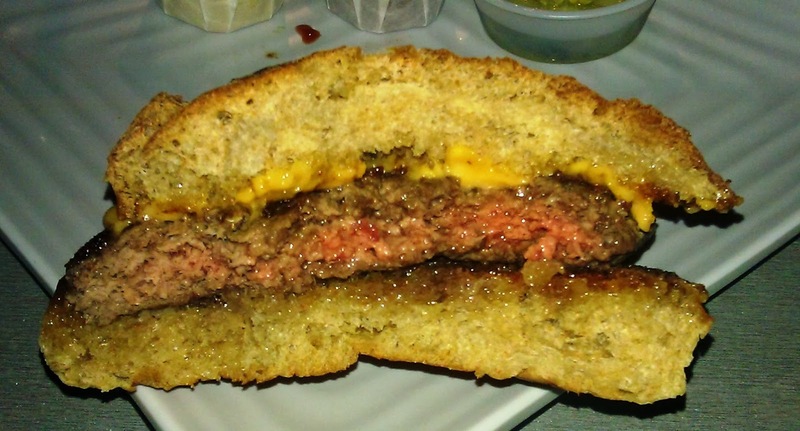 The 1/3 pound patty was juicy, tender, and it was rich with flavor. The flavors that came through were beef, a complex minerality, and a hint of funk from aging. The fat content of the pre-ground, but not previously frozen, beef (Chuck) was about 20%. The thin, irregular patty was good enough to prompt high praise from Happy Meal and The PLV, alike. It was akin to consuming a ground Ribeye. The beef at Burger Lounge was a solid WIN. The Seasoning: Heck Yeah! Burger Lounge hit the exterior of the burger patty with just the right amount of salt and pepper to accentuate the strong beefy flavor of the quality meat. The Sear: The sear on the underside of my burger patty was nominal, but the sear on the top of the patty was nearly adequate. The sear was the only lacking element in this equation. A crisp sear would have taken this cheeseburger from good to great. The Preparation: Burger Lounge liked to serve their burgers at Medium, and that was how our burgers arrived. The beef patty was a perfect Medium, and this allowed the strong beefy flavor to develop without compromising the delicate complexity of the earthy mineral notes. The pre-ground beef was ground at a medium setting to provide a strong presence of steak in the mouth feel. A finer grind would have seemed mealy, and a coarser grind would have been distracting in that the beef would have lingered on the palate ovelry long. 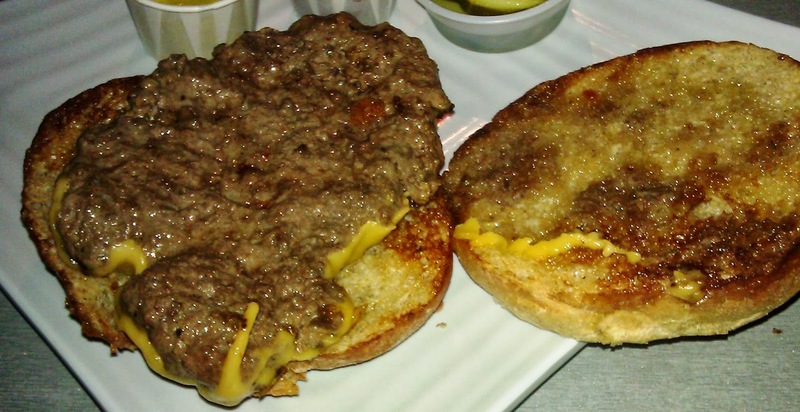 The Cheese: The organic American cheese was perfectly matched to the portion of beef. The cheese was savory and contained enough iron notes to round out the flavor profile. The cheese was properly melted, and it contributed a creaminess that worked its way throughout the entire bite. The Bun: The Burger Lounge bun was really nicely toasted, and it lent a satisfying crunch to nearly every bite. 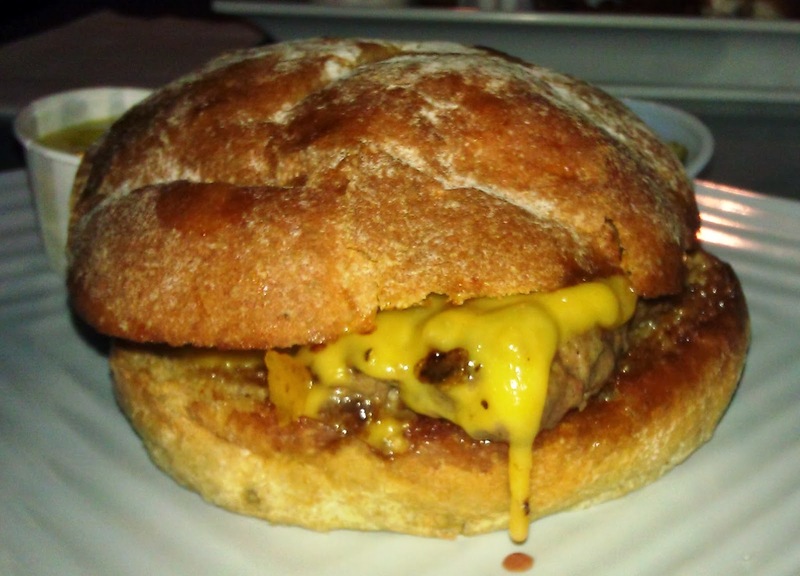 The bun was fresh, moist, slightly sweet, and just firm enough to stand up to the juicy burger patty. The bun, politely, did not pull focus from the star of the show...the quality beef. The Toppings: The Romaine lettuce was fresh, sweet, and crisp. The tomato slice was firm and ripe. 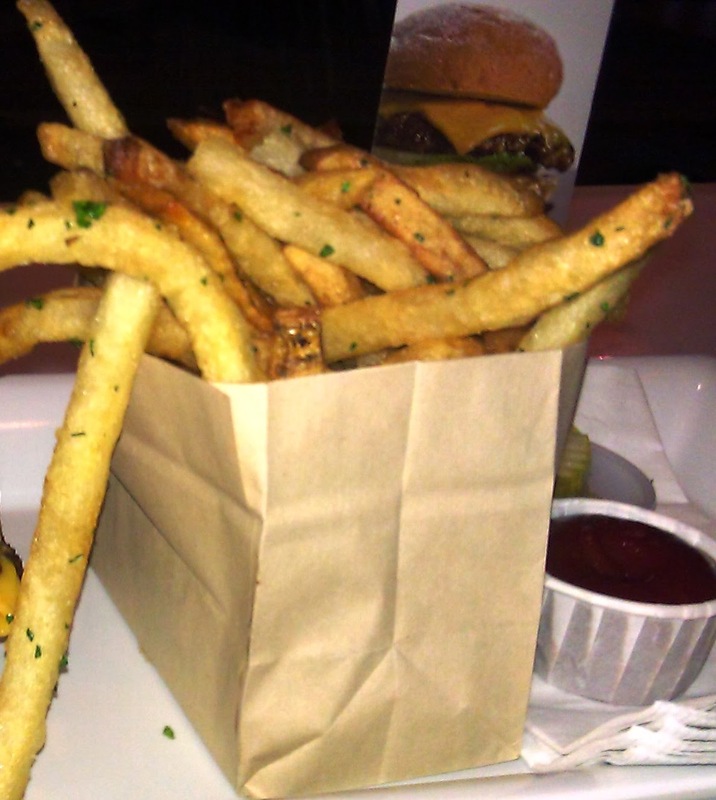 The Fries: The fries at Burger Lounge were fresh, hand-cut, peel-on, par-cooked, and nicely seasoned. The hearty fries were crisped in peanut oil (high smoke point) and finished with just enough salt to enhance the earthy and fresh potato flavors. The fries were a winner. The Value: $8 was a little steep for a smallish burger, and $4 for an order fries was a kick in the teeth. The ingredients were of very high quality at Burger Lounge, and this eased the sting of price tag. The value was a little below average. Burger Lounge had upped its game and delivered a really good and full-flavored burger, which was prepared with great competence and consistency across multiple recent visits. I was pleased to see Burger Lounge improve to the point of being a cheeseburger that I could endorse as a burger worth trying in Los Angeles. Burger Review : Burger Lounge served up a delicious burger with both high-quality ingredients and high-quality preparation.